Super Savings Item! Save 36% on the HLC Classic Plant Stand Shelf Holds 3-flower Pot Black by HLC at Tulips Orchids. MPN: MC0135BK. Hurry! Limited time offer. Offer valid only while supplies last. 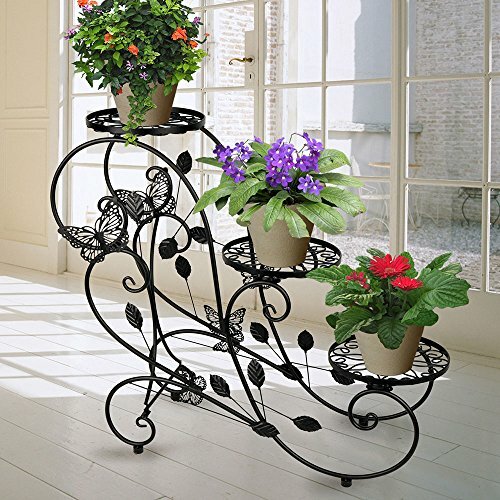 Color:Black APerfect classic and modern combination: this typical 3-tier Classic Plant Stand grands you visual enjoyment with flowers and ''S'' design. Perfect classic and modern combination: this typical 3-tier Classic Plant Stand grands you visual enjoyment with flowers and "S" design.